TOKYO - Global stock markets were mostly higher Friday ahead of a U.S. employment report, cheered by a record close on Wall Street and talk of further stimulus from the European Central Bank. France's CAC 40 fluctuated in early trading, inching up 0.1 percent to 4,230.87. 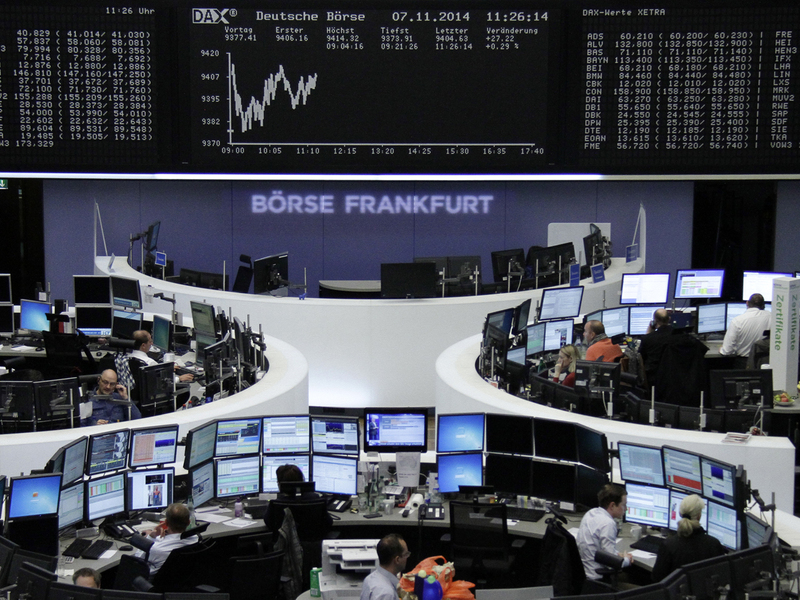 Germany's DAX gained 0.3 percent to 9,402.83. Britain's FTSE 100 added 0.7 percent to 6,597.15.Wall Street, which closed at a record high Thursday, was set for a muted open, with both Dow and S&P futures flat as of 8:00 a.m. ET. A strong report on U.S. hiring from payrolls processor ADP suggested Friday's official monthly figures will show robust employment growth. If that is the case, it will allay lingering worries that the Fed's recent decision to withdraw its extraordinary stimulus, provided through a massive program of bond buying, was premature. Intended to spur economic recovery after the global recession, the stimulus helped markets defy gravity even in the face of poor company earnings or bad economic news. "It does concern me that everyone is now positioned for a strong payrolls" report, said Chris Weston, chief market strategist at IG in Melbourne, Australia. "Although this seems fair given all the usual leading indicators have been strong. " He said forecasts for U.S. job creation in October range from 140,000 to 314,000 with 235,000 the consensus figure. The European Central Bank is under pressure to provide more support for Europe's recovery and prevent prices from falling. The ECB decided Thursday to keep its benchmark interest rate unchanged at 0.05 percent, a record low. But after talk of doing more from ECB President Mario Draghi, markets have turned higher. Japan's Nikkei 225 closed up 0.5 percent at 16,880.38 and Australia's S&P/ASX 200 climbed 0.5 percent to 5,549.10. Seoul's Kospi added 0.2 percent to 1,939.87 but China's Shanghai Composite lost 0.3 percent to 2,418.17. Hong Kong's Hang Seng shed 0.4 percent to 23,550.24. Markets rose in Taiwan and Singapore while benchmarks in Indonesia, Thailand and the Philippines fell. The dollar rose to 115.23 yen from 114.58 yen late Thursday. The euro fell to $1.2399 from $1.2507. Benchmark U.S. crude oil was up 2 cents to $77.93 a barrel in electronic trading on the New York Mercantile Exchange.